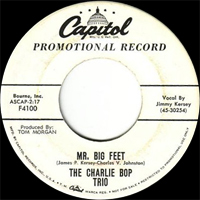 Trio Rockabilly US, le Charlie Bop Trio comprenait outre Charlie, Charles Johnson et Jimmy Kersey. Ils ont enregistré chez Capitol Records d' Hollywood (Californie). 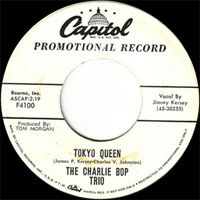 US Rockabilly trio, the Charlie Bop Trio included in addition to Charlie, Charles Johnson and Jimmy Kersey. They recorded at Capitol Records of Hollywood (California).